An fantastic drawing design illustrating a horse from our collection of horse wall stickers! 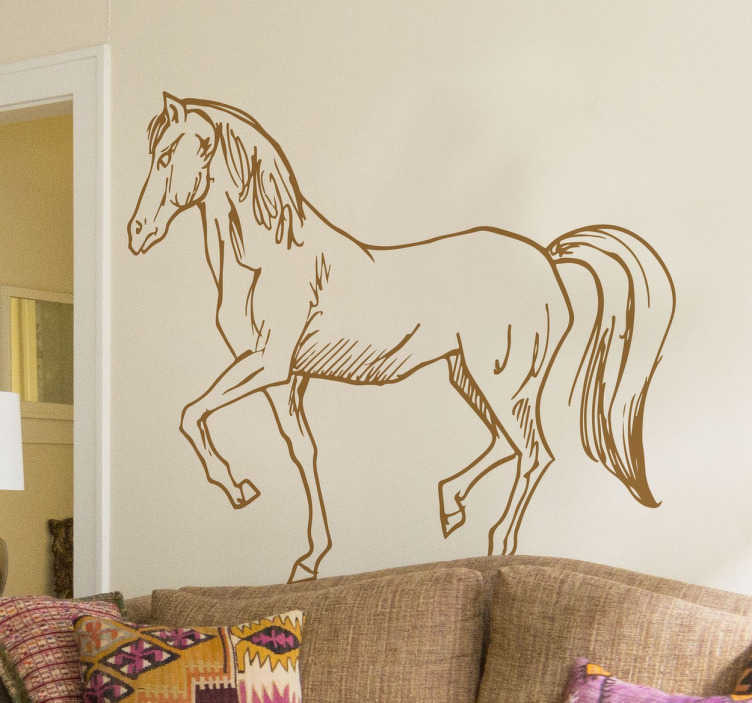 Brilliant horse wall art decal for your home. If you love horses or horse riding and are looking for a decal that will give your home a new appearance and a superb atmosphere then this is the perfect decal for you! You can also personalise this vinyl sticker. This horse drawing design must be applied on a smooth surface. It is available in over 50 different colours and various sizes. Made from high quality vinyl, easy to apply and remove.